Makers, Inventors & Tinkerers get your idea shoes strapped on. 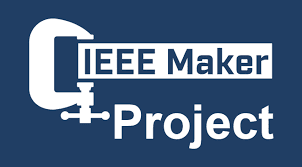 The Institute of Electrical Electronic Engineers (IEEE) latest initiative to support the community-at-large of engineers and makers, opened the IEEE Maker Project in May and soon will close submissions on September 17. Since it is a voting contest, earlier the better but anything goes in social contest voting. The IEEE Maker Project welcomes innovators, makers and tech enthusiasts to battle it out for great prizes and the chance to work with an IEEE member. Last year, IEEE hosted the DIY Project which attracted over 300 student entries with winner Usman Maqsood and his team, Amir Salman and Reeba Raza, who won for their EcoSens, a Wireless Sensor and Actuation Network project. Finalists in each submission category will receive a $50 Amazon gift card (or equivalent value in local currency) and have their project spotlighted on IEEE Transmitter and IEEE Potentials. One second prize winner will receive $150 Amazon gift card (or equivalent value in local currency). The grand prize winner’s project will be spotlighted on IEEE Transmitter, will also receive a $500 Amazon gift card (or equivalent value in local currency) and a one-hour video mentoring session with Tom Coughlin, who will help the winner take their project to the next level. Entrants must be 18 years or older to enter and submissions must be an engineering project that was built or created using hardware or software. Submissions must also include an image or video of the tech project, as well as a description. Visitors to the site will be able to share, link, comment and even vote for their favorite submissions. Tom Coughlin, Chair of the IEEE Public Visibility Committee, IEEE Senior Member and lifelong advocate of the maker movement, will serve as the host of this competition. He will be featured in an ongoing video series that will highlight cool projects and events to inspire contestants on the contest website. "This contest is about the developer and tinkerer in all of us, ready to step on the world stage to show off their engineering talents and hands-on creativity," says Tom Coughlin, IEEE Senior Member. "This competition embodies the very spirit of making, and lays the foundation for the next generation of maker talent." Very nice article and very good blog.